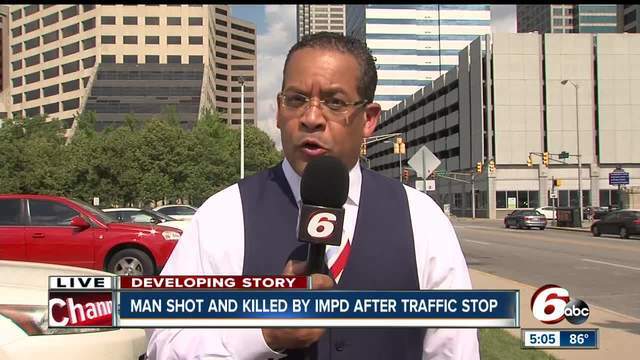 INDIANAPOLIS -- The 45-year-old man who was shot and killed by police after leading them on a chase early Thursday morning had an extensive criminal background with records dating back to when he was just 19 years old. Call 6 Investigates uncovered court documents showing that Aaron Bailey had been in and out of jail on multiple charges starting back in 1991. Court records show Bailey had been convicted of 14 felony and 19 misdemeanor charges over the past 26 years. Those charges include theft, robbery, burglary, battery by bodily fluids, prostitution and numerous drug related charges. 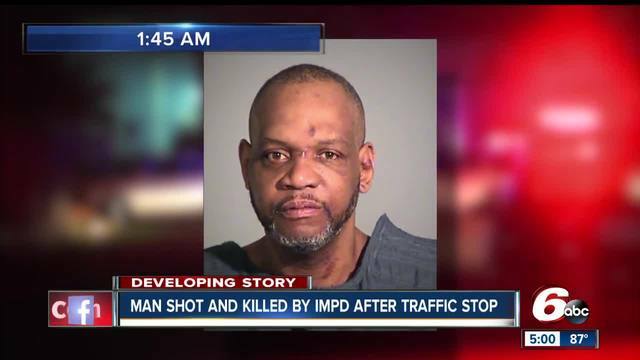 Since 2014 alone, Bailey had been the subject of at least 16 incidents involving the police. Police say Bailey was driving just before 2:00 a.m. Thursday morning when police pulled him over for a traffic violation near the intersection of Burdsal Parkway and Riverside Drive. During that stop, Bailey sped from the scene, leading police on a brief chase before he crashed into a tree near the intersection of 23rd Street and Aqueduct Street. An altercation occurred after that crash and the two officers fired "multiple" rounds at the vehicle, hitting Bailey. He was taken to the hospital where he later died.